About 6 weeks ago, Perry asked me what I thought about going to the Presidential Inauguration? Wait, what? My forehead found its creases instantly as my head fell to the side. He was serious and had already done his homework and not to mention it’s practically in our backyard. MOMMMM!!! Of course she said “Yes, I’ll watch the girls” because she is the best mom ever @bestmomma65 and that’s when reality really set in. Holy fish! We waited a bit too long to acquire tickets to the actual swearing in ceremony as they were out of our budget by then, but totally scored tickets to the Inaugural Ball!!! And the All American Ball!!! Two balls back to back (Good thing Perry isn’t commenting) is something this small town girl didn’t see her future; I need a new crystal ball (no pun intended). I have never been to a proper Ball and I’m pretty sure my Prom over 2 decades ago did nothing to prepare me. How does one prepare for such an event? A dress, the perfect dress or should I say two perfect dresses that I feel amazing in. Ha, that’s no easy feat. Before turning to my favorite shopping companion, Amazon Prime, I looked in my closet and actually found some options. I have a few gowns that at one point in time, I felt amazing in. The gowns in the pictures below I’ve only worn once and would like to put them to good use again. 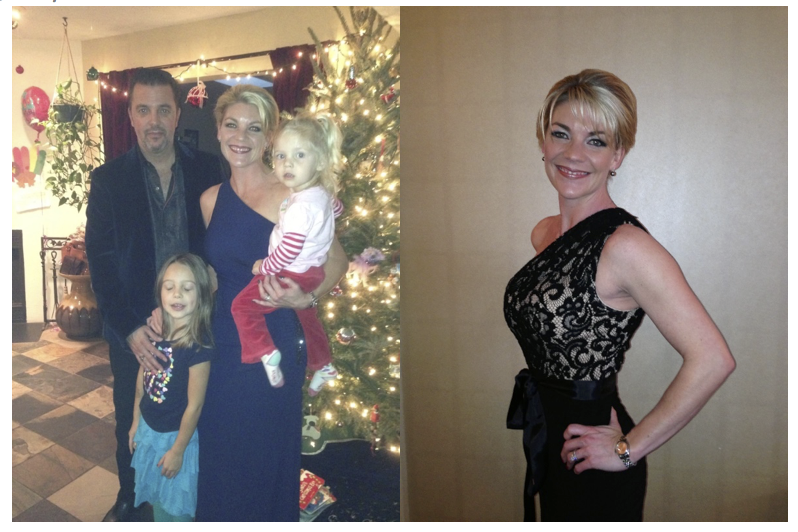 The blue dress was for a Zero Point Christmas party, nothing but classy, and the black dress was for a Navy Seal Gala in NYC where I was representing Zero Point. So, I traded in the chocolate for celery, went to the tanning bed, made an appointment for my nails and started doing two-a-days, am I missing anything? 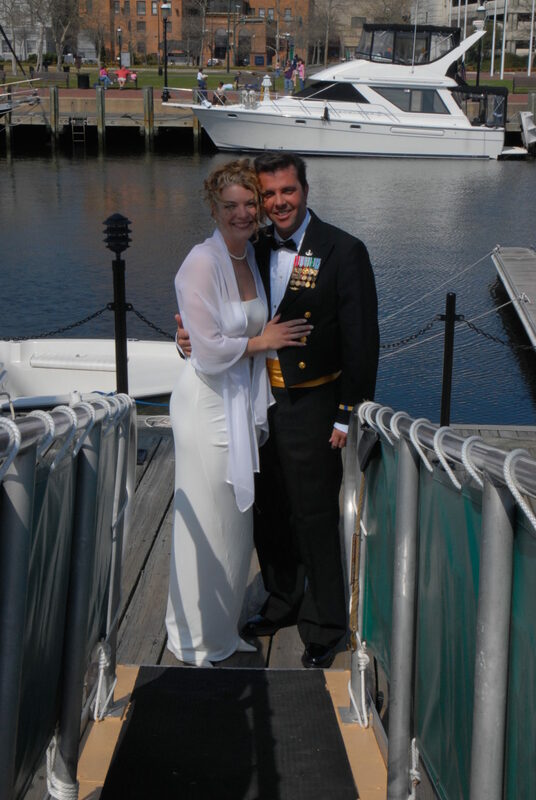 My most treasured accessory will be my husband wearing his Dinner Dress Blue Uniform, the very uniform he wore the day he became my husband (we were both equally happy that it still fits), he will be adorned in the 14 metals awarded in his twenty years in the United States Navy. Ok, now that I’ve sorted through the garb for the events, I need to know a little more about what I’m getting into. While my husband did his homework, I still have some studying to do! The 6th quadrennial All American Inaugural Ball is a premier inaugural celebration, bringing together thought-leaders, elected officials, celebrities and, of course, some truly amazing American Heroes. It is a tribute to the myriad of American heroes who sacrifice on behalf of others every day. My husband will fit in just fine and I will proudly accompany him as a proper Officer’s wife. While I take no ownership of his career, I am proud of it and will show him at every opportunity that appears before me. My husband is my hero. The President-elect and the incoming First Lady and Vice President-elect and Mrs. Pence plan to attend all three official inaugural balls to join in ringing in a new day in America. Liberty and Freedom: Two of the three Official Presidential Inaugural Balls will take place at the Walter E. Washington Convention Center and, for the first time ever, the Presidential Inaugural Committee will provide all television networks the right to freely air the live two-hour show simultaneously in both balls, allowing Americans throughout the country to watch the President’s remarks and first dance with the First Lady. I’m kind of beside myself that I’ll be present to witness such an event. I’m looking forward to the emotions I’ve yet to experience being in the same room as the President of the United States, one that I voted for. Taking part in such a historical occasion is pretty cool, to say the least. But even more so because of the intensity of the election and the relief my family has found in whom America selected to lead our country for the next four years. We have high hopes for our country, our business and our family. Which Of The 22 Inaugural Balls Will Donald Trump Be Attending? World Series 2015: How Much Tax Will Fans Pay to Enjoy the World Championship?